Oh my gosh, it feels like FOREVER since I have posted anything. I believe that I bit of more than I can chew with my school schedule this semester! But, after these classes I will be 50% complete to reaching my degree! WooHoo! Since I have been super busy the last few weeks, I thought it only be appropriate that I share what has been keeping me going. I am not a big hot coffee drinker, and when I do Hubby usually asks me if I want coffee with my creamer, because it is usually 80% creamer. But I can down an iced coffee like no ones business! The only down side is that I hate paying $4 to $6 for one. But, once you find out how easy these yummy drinks are to make, you will never buy one again! 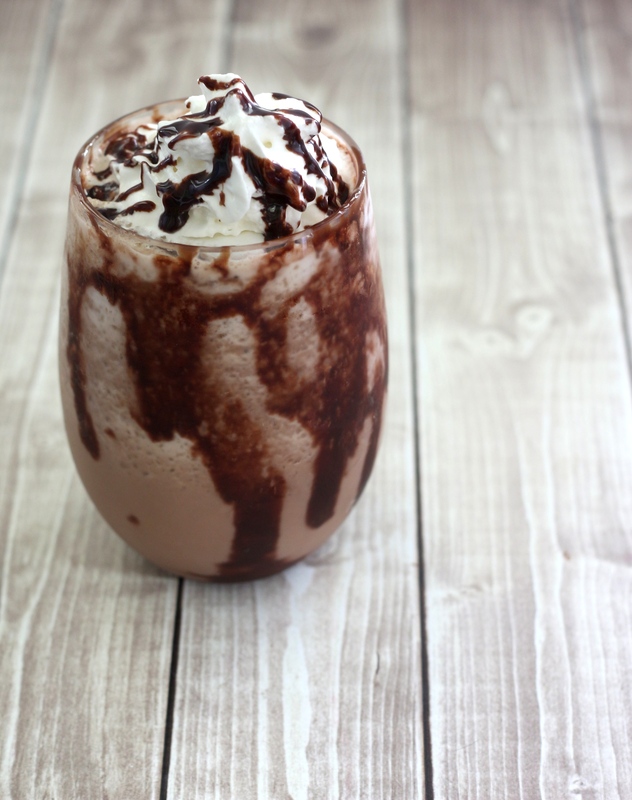 In a blender or food processor combine frozen coffee, milk and syrup and blend until well combined. I like mine with a few chips of frozen coffee left in it, but you can blend until smooth. Top with whipped cream topping and an extra drizzle of chocolate and serve immediately! I love mine with extra chocolate, so I drizzle the inside of the cup with chocolate before pouring in the Mocha Frappe. Thank You and good luck in your studies. Have a great day. Sometimes you have to drop the internet to go make something. This is one of those. Thanks for sharing with Let’s Get Real (I’m co-hosting this week)! Oh my goodness this looks so yummy! YUM!! One of my favorites! Thank you bunches for linking up and partying with us! I use instant coffee and also add Oreo cookies.